Since the day we arrived, and actually before ever leaving Cluj, we knew, that we would visit one of the nearby islands while being in Split. According to the information available on the net, there are several islands, each with it’s own unique way of attracting tourists. Of course apart from what’s there, there is another thing which needs to be considered: ease of access within a day. 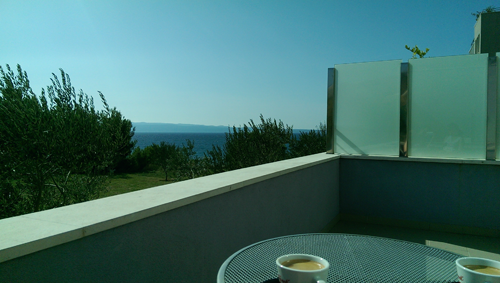 After considering all aspects, we decided, that the best place to visit in our situation was Bol, on the island of Brac. Compared to Split, Bol is a real beach resort. 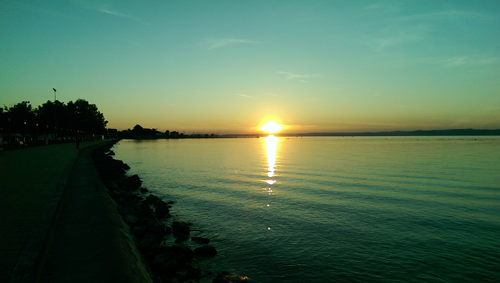 You are far away from the sounds of the city and the water is much cleaner than in Split. In fact, I have never seen a cleaner beach in my life, so it was perfect for taking pictures at least 🙂 . 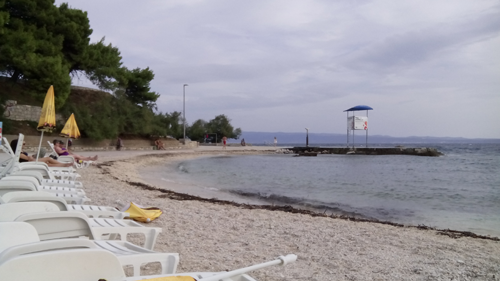 After a 20 minute walk from the bus station, we arrived to the actual beach: it looked clean and less crowded than the ones in Split and there were still several sun-chairs left. 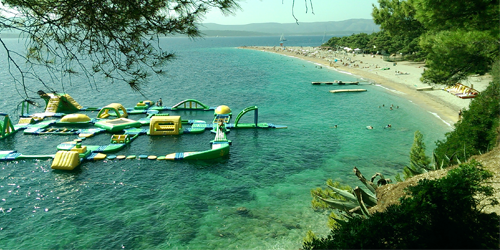 Later we found out why: being so far from the city, prices are a bit steeper in Zlatni Rat. One chair costs 50kn. If you want an umbrella with that you need to pay 50kn more. So we payed 150kn for two sun-chairs and an umbrella. The plastic table came as a bonus 😉 . Of course the other alternative was to sit on a towel on the pebbly beach or in the shades a bit further from the shore… but we wanted the full experience: almost front row seats admiring the beautiful white and blue colors of the sea and listening to the calming sound of the waves without getting a sunburn 😉 . Lunch can also be solved directly at the beach. There are several fast food boutiques and even restaurants right on the beach. The prices are higher than in Split and they charge for the restrooms also. Yes, this beach was pricier than the ones in Split, but for one day, it was an interesting experience. To top that you also get a bus ride which takes you through some idyllic local villages and some winding roads among the cliffs just above the seashore. This last one was a bit scary part, but breathtakingly beautiful 😉 . 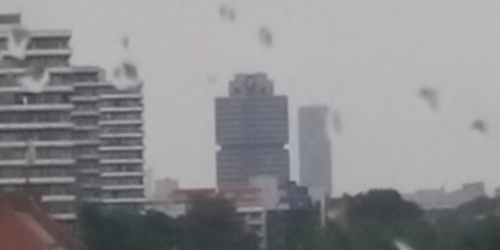 I have uploaded some pictures here. 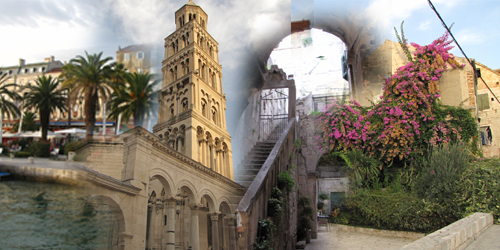 We were advised to visit several interesting places around Split during our stay. One of them is Trogir, a small town, which, much like Split, preserved a lot of its old walls and buildings to the enjoyment of tourists of our time. The Trogir visit was a half day activity: it is just a half hour drive from Split (well, that is if you do not get stuck in traffic and spend almost an hour instead) on the same direction as Split airport. When you approach this small town by car, the first thing that pops up in a driver’s head is: where do I park? Well assuming you have a GPS, you try to get to the center as much as possible and look for a parking place there. In our case, when it said we have a 1-2 minute drive left, I just entered the first parking spot on the left 😀 . We basically parked in the parking area just next to the bus station near the bridge leading onto the small historic island. The best thing about this parking lot was the guy greeting us: he was sitting on a bicycle as we entered, made a sign and led us to the most appropriate spot… neat 🙂 . 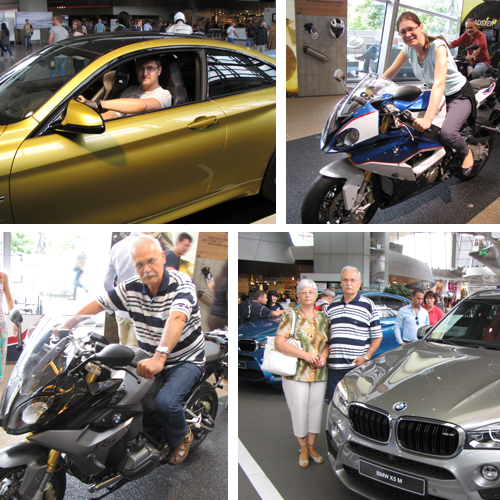 Photos have been uploaded here. 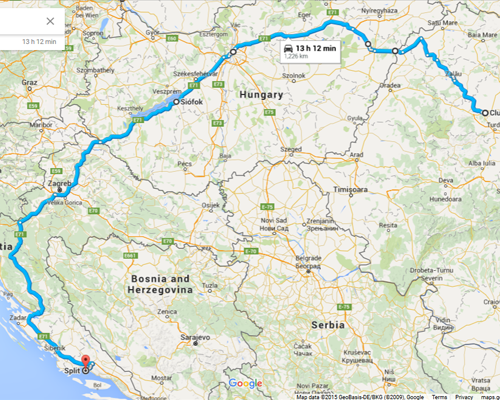 Anyhow, after we chose the country, we basically tried to choose the point furthest to the south where we haven’t been at until now (so naturally Dubrovnik was out). 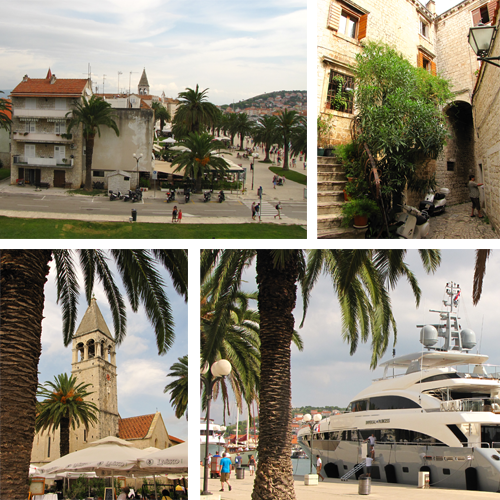 The choice fell to Split: it has nice beaches, some nice islands nearby and even a national park that is close to it. Naturally so many possibilities in the area required us to be able to move around in the Split area easily. So, the choice was, again, traveling by car 🙂 . As usual, when we went by car for similar trips, our mid-travel rest-location fell to a point in Hungary: this time it was Siófok. Our stay at the hotel was quite good: we had a very tasty dinner at the hotel restaurant, we had a quite good room, nice private parking and a friendly staff to make our stay enjoyable. So there we were, the entrance to the candy store 🙂 : I knew I could not buy anything (well, not yet anyway 😀 ), but I was sure I was in for a treat. The entry to the complex is free of charge, you just have to pay for parking, but you have the possibility to check out some of the hottest models BMW can offer, ranging from all the cars and bikes they make, all Mini models and of course a taste of high-end luxury offered, in this case, by the smallest member of the Rolls Royce family, a close-up glimpse to the Ghost. Anyway: yes, it was what I expected, yes I came out with a smile and yes, I had to buy souvenirs 😀 .